1. 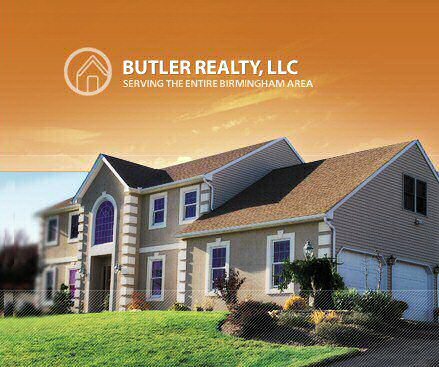 Are you a full-time professional Realtor&reg? How long have you worked full time in real estate? How long have you been representing buyers? What professional designations do you have? Many home buyers prefer to search online for homes and home buying information. There are certain privacy and comfort levels that you might appreciate in starting a preliminary search this way, and often it is just a matter of convenience, having 24-hour access to information. By searching the Realtor's&reg and the company's Web sites, you will get a clear picture of how much work you would be able to accomplish online, and whether or not that suits your preferences. When I have a question, how quickly do you respond to emails? Some real estate companies do offer their buyers' agents a higher commission if they are able to sell "in-house" listings. In such circumstances, there can be added incentive to show you a more limited range of homes than you might consider. If this is the case with your Realtor&reg, you should be very clear on how this will impact your home search, if at all. You also should determine it this affects how much your buyer agents fee will be. The goal here is to ascertain to whom the Realtor&reg has legal fiduciary obligation, which may vary from state to state or even locale to locale. In the past, Realtors&reg always worked for sellers. Then the listing broker was responsible for paying the agent or sub-agent that brought a suitable buyer for the home. And even though the buyer worked 'with' an agent, the agent still represented and owed their fiduciary duty to the seller. An additional situation in some states is dual agency. This is where the buyer decides to have the listing agent prepare the offer for him. A knowledgeable buyer may elect this situation which should be fully disclosed to all parties. In some states it also affects the broker's/agent's fiduciary responsibilities to the seller. Although Realtors&reg today almost always have a sense of moral obligation to buyers, this original type of seller agency still exists in certain areas. In other areas, a formal method of buyer representation called Buyer Agency exists to protect buyers. Find out what is available in your area and make yourself comfortable with the extent to which you will be represented. This is an issue that can also be related to agency. In many areas, the seller still customarily pays all Realtor&reg commissions through the listing broker. Sometimes, Realtors&reg will have other small fees, such as administrative or special service fees, that are charged to clients, regardless of whether they are buying or selling. Be aware of the big picture before you sign any agreements. Ask for an estimate of buyer costs from any agent you contemplate employing. 7. What distinguishes you from other Realtors&reg? What is your negotiating style and how does it differ from those of other Realtors?? What geographic areas to you specialize in? It should be important to know that your Realtor&reg has unique methods of overcoming obstacles and is an effective negotiator on your behalf, but most importantly that your Realtor&reg can advocate for you in the most effective ways. Interviewing a Realtor&reg to help you buy a home can be very similar to interviewing someone to work in your office. Contacting a Realtors'&reg references can be a reliable way for you to understand how he or she works, and whether or not this style is compatible with your own. Understand that, especially in the heavily regulated world of real estate, it can be increasingly difficult for a Realtor? to offer a performance guarantee. Sometimes you may find a Realtor&reg who is willing to guarantee that if you are dissatisfied in any way with their service they will terminate your Buyer Agency Agreement. If your Realtor&reg does not have a performance guarantee available in writing, it is not an indication that he or she is not committed to perform, but rather that he or she is willing to verbally promise some kind of performance standard. In fact, Realtors&reg understand the importance of win-win business relationships, and that the Realtor&reg does not benefit if the client does not also benefit. It's a good idea for you to set your expectations reasonably in accordance with how your Realtor&reg conducts business. You may be looking for an agent to call, fax, or email you every evening to tell you about properties that meet your criteria which are new on the market. On the other hand, your Realtor&reg may have access to systems that will notify clients of new properties as they come on the market (which could happen several times a day or several times a week). Asking this extra question can help you to reconcile your needs with your Realtors'&reg systems, which makes for a far more satisfying relationship.